Great location for future professional offices. The vacant property consists of 3 lots. 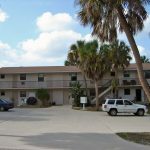 Located East of US Highway 1, close proximity to medical centers, hospital, and easily accessible to Stuart or Fort Pierce. Lot to the South of property also available for sale. 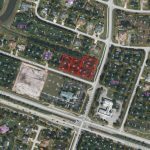 Acreage: 0.74 AC acre(s) Zoning: CP – PSL (Commercial Professional) Frontage: 255′ to Lennard Rd. Great location for future professional offices. The vacant property consists of 3 lots. 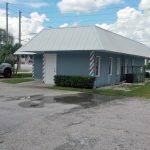 Located East of US Highway 1, close proximity to medical centers, hospital, and easily accessible to Stuart or Fort Pierce. Lot to the North of property also available for sale. 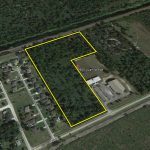 Acreage: 0.75 AC acre(s) Zoning: CP – PSL (Commercial Professional) Frontage: 256.67′ to Lennard Rd. This freestanding building features 18,486 SF of retail space. Property has a brand new metal roof and A/C unit. Currently occupied by a Yamaha retailer “Stuart Motorsports”. Great potential for a redevelopment! High exposure to SE Federal Highway. Great opportunity to own a brand new industrial warehouse unit in the Industrial Park at Avonlea. The 11,200 SF industrial building is now move-in ready. Located on NE Savannah Road, easily accessible from US Highway 1. Building will feature 14’ x 16’ High drive in roll down doors, LED lighting, and a 200 SF office and restroom. Unique purchase opportunity consisting of two built homes and +/- 1.96 AC of residential land. Land has potential for single-family dwellings at a max density of four dwellings per units per gross acre, together with such other uses as may be necessary for and compatible with low density residential surroundings. Other permitted uses for the land include family day care homes and single-family detached dwellings. Retail building located on the corner of NE Dixie Highway and NE Letitia Street, across the street from Langford Park. 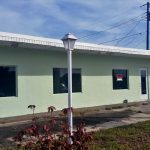 This building is ideal for a select number of uses under B1 zoning, such as an office or retail business. Excellent professional office space available that is built-out for a large professional company. Floor plan allows 3 to 4 different companies to occupy and function as necessary. Space is available fully furnished and it consists of (5) conference rooms, (35) call center desks, (7) executive office (4) reception area desks, (2) kitchens, (4) restrooms, and AMPLE parking. 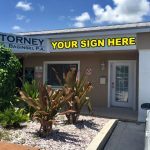 Located just a half mile West of the Florida Turnpike on SW Port Saint Lucie Blvd. and East of I-95 Gatlin Blvd. exit. Great space available at the Gatlin Commons strip center, ideal for retail or office use. Located within the Gatlin Commons PUD with national tenants that include Wal-Mart, Sam’s Club, McDonald’s, Bank of America and more. Some of the neighboring tenants include: Tire Kingdom, Alfonso’s Pizza, and Hot Wok Take Out. Located at the entrance of to the Portofino Isles community and just 1.5 miles east of the “Tradition”, a community currently consisting of 2.400 residences and a planned expansion of 18,000 single-family and multi-family residences. Great opportunity to sublease a 12,333 SF space at the Virginia College building in Fort Pierce. Great potential for an industrial, warehouse business, storage, and other uses under the C-3 zoning district. 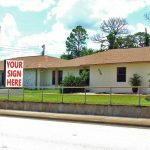 Office space with great visibility to busy US 1. Ideal as a professional office, service establishment, or medical practice. Close proximity to some national tenants including: Advance Auto Parts, Bank of America, Staples, GNC, Publix, McDonald’s and many more. Easily accessible from US 1 or Heathcote Drive. 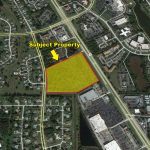 14 acre site has potential for a family day care homes, recreational activities, religious organizations and other uses under St. Lucie County Institutional Zoning. Site is located next to an existing parish. Located on Juanita Avenue, close proximity to residential areas. 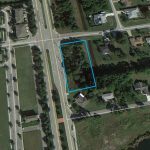 One of the last large tracts of land (17 acres) and is currently zoned GC General Commercial. Available For lease /Land lease/ may divide. 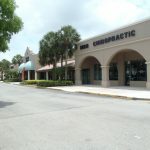 Located in Port St Lucie across from the hospital and 2 blocks from Port St Lucie Civic Center. 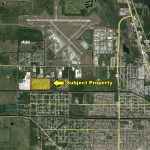 This property is located within the CRA district of Port St. Lucie. 56 Acres of a “Rare” property! Site plan approved for 400,000 SF Warehouse of Industrial Park+ All assessments paid! Current zoning is Warehouse Distribution + approved for Recycling Center (Multiple Use). Can become host to a business development such as a retail park. Has Federal Grant funding available for multiple project types. 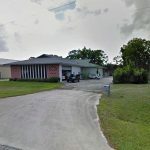 Located .5 mile from The Saint Lucie County International Airport, and a direct connection to I-95. 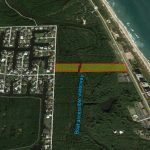 The property is also close to Fort Pierce Inlet and Port. Fort Pierce has had a redevelopment of Downtown. This land gives a developer, or Owner excellent access to the ocean, and major transportation routes as a centrally located property. This land is located +/- 1 Mile from the Airport! 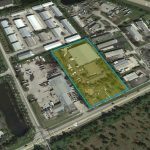 Four (4) spaces total available for lease at this Port St. Lucie Industrial Park located on SE S Niemeyer Circle. Three (3) 800 SF units with 10x12 rollup bay doors and a 2,000 SF space with two 12x12 rollup bay doors and a mechanical bay. Ideal for auto-related business. Ingress/egress easement. Located on SE S Niemeyer Circle, easily accessible from SE Village Green Drive. Great office space available for lease at the PSL Professional Centre. Space features 1 break room, 1 handicap accessible bathroom, 4 offices, and 1 reception/waiting area. There are two separate entrances, one for patients/clients, and the other for staff. 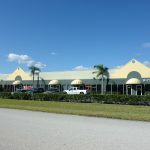 The St. Lucie Business Park currently has two spaces available for lease, ideal use as a merchandise showroom, office and other commercial uses. Deal includes 2 year lease with 3% increases in the 2nd year. Easily accessible from US Highway 1. Prime potential for a multifamily development! +/-2 acres of land ideal for a variety of uses under C3 zoning. One of the lots currently has a 1,542 SF house that can be dismantled for new development. 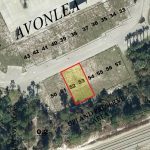 +/- 350’ of frontage to Orange Ave. This is a first floor suite that features a porch out back as a break area, private bathroom, reception area, a private office, and large open area. Second floor is occupied by Water’s Edge Dermatology. Located in Saint Lucie West neat Met’s Stadium. 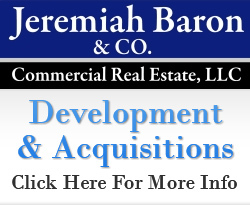 Great development opportunity! 0.62 acres of land ideal for a variety of uses ranging from convenience goods, service establishments, and office facilities. Corner lot on Orange Ave. and N 10th Street. Perfect investment opportunity! Property features 6,975 square-feet of warehouse/office, currently 100% occupied. 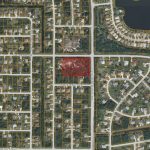 Centrally located in Port Saint Lucie with great accessibility to the major highways. 500,000+ SqFt. Nationally anchored shopping center. On the busiest stretch in Boynton! Congress Ave/ Gateway intersection, right by I-95 ramp. 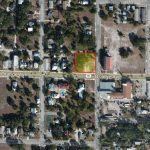 Property features 4 vacant lots with the zoned for residential but with potential for a commercial development. Easily accessible via Gatlin Blvd. and within close proximity to I-95. 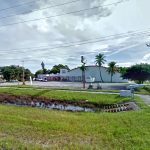 Three vacant parcels located on Bayshore Blvd. ideal for an array of uses under General Commercial Zoning. Close proximity to the Florida’s Turnpike and the Crosstown Parkway. 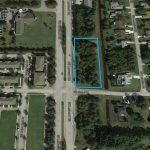 Great piece of land located on the corner of SW Darwin Boulevard and SW Paar Drive. 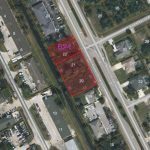 2.95 acres zoned for Neighborhood Convenience Commercial which allows for a series of uses such as retail businesses, restaurants, and professional offices. Located on the corner of SW Paar Drive and SW Darwin Blvd. 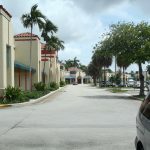 Great opportunity to own a community shopping center in Jensen Beach! The free standing building currently has a couple of spaces for lease, one ideal for a restaurant and the other for a retail business. Close proximity to Jensen Beach Bowl and Langford Park. Perfect opportunity to purchase the brand new Dunkin’ Donuts location complete with drive-thru. Building has been completely renovated with a new roof and a 20 year roof warranty. Guarantee franchisee with over 20 locations! Ready for immediate use! 14,400 SF building ideal for health club, retail, or medical establishment. Landlord will contribute to Tenant Improvements. Located on South US Highway 1 in Fort Pierce. Property currently consists of vacant residential parcel. Site is separated by a waterway which can be navigated by boat. Great potential for approximately 12 to 15 mid-rise condominium units. Close proximity to the beaches and restaurants. This prime location brings extreme exposure to your business. 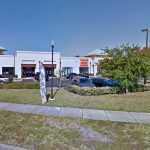 It’s located directly across from the Treasure Coast Mall and right off US 1. Surrounding tenants include Mattress Firm, Sprint, and Sage Dental. Anchored by Multiple National Tenants (Home Depot, Target, Outback, PGA Superstore. Directly off I-95. Located on heavily traveled Linton Blvd. 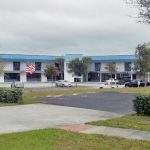 Shopping Center located on the corner of N US Highway 1 and Highway A1A has several office and retail suites available for lease. First and second floor suites available on highly visible road. Perfect investment opportunity! Industrial business park features 6 buildings totaling 57,830 square-feet. 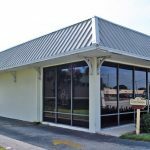 Property is 100% leased with tenants that include Plantation Shutters, Allman Floral, WSI Welding, and Magnaserv. 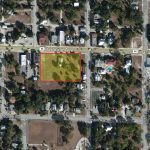 Great location which consists of 2 empty lots and 1 lot with a 1 story building on SE corner of Martin Downs Blvd. and SW Feroe Ave. Very busy location on Martin Downs Boulevard, west of bridge just one street away from Mapp Road, which is soon to be the Main Street of Palm City. 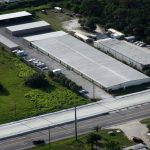 This property features 27,000 SF of prefabricated metal building with 475 climate controlled self-storage units, plus an additional ±15,000 SF of covered RV, boat, and vehicle parking units. Additional uncovered parking spaces are available as well. Building features side entrances for added loading and unloading convenience. Conveniently located on the east side of South US Highway 1, just North of Easy Street.